This tour looks at the locations for the filming of the Granada TV series. Discover the connections to Liverpool of Sir Arthur Conan Doyle & Basil Rathbone. 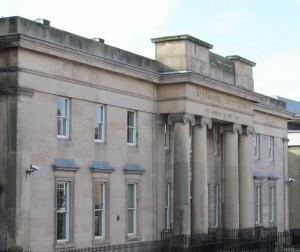 The Former Liverpool Institute High School for Boys, built 1835-7, whose former pupils included Paul McCartney and George Harrison, reopened in 1996 as The Liverpool Institute of Performing Arts. Discover what Paul McCartney’s Fame school has got to do with Sherlock Holmes?